Kings Barbers Club received delivery of its brand new barber retail module direct from the Elements Europe factory last Wednesday, and it was officially opened by the Mayor of Coventry two days later. Elements Europe has worked closely with Kings Barbers to design the bespoke retail module from scratch, ensuring that it was manufactured to the exact specification required by the client. The module, which sits in the car park of Sainsbury’s in Canley, South West Coventry is the result of a vision Kings Barbers Club has had for some time and is an entirely unique set up for the barbering industry. The module covers just 10 car parking spaces and offers an additional service to the Sainsbury’s store. 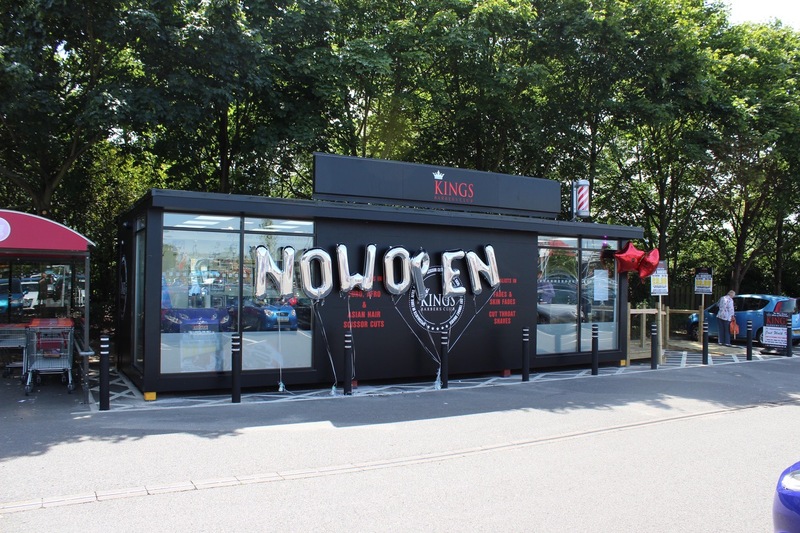 Kings Barbers is the largest barber franchise in the UK and is the first modular outlet for Kings Barbers Club in addition to its portfolio of 15 high street stores across the Midlands.